This week's Book Blogger Hop hosted by Crazy for Books is celebrating one of my favorite days of the year -- April 1. So, visit Crazy for Books and join the party. Since today is April Fool's Day in the USA, what is the best prank you have ever played on someone OR that someone has played on you? I don't have any particularly noteworthy pranks to relate, only silly little things of the "you had to be there" variety. April 1 is a special day for me for a different reason. It's my wedding anniversary! Yes, we scheduled our wedding for April Fool's Day. It was a particularly busy point in our lives and we had to squeeze that ceremony in. The first weekend in April fit the best. I think maybe my husband (then boyfriend) liked the idea because he imagined it might give him a last minute out. But he went through with the wedding after all, and we've been married twenty-two years. And as a bonus, he's never forgotten the date! It's time for the literary blog hop hosted by The Blue Bookcase. Hop on over to see what it's all about. It's a wonderful way to meet bloggers with similar reading habits. This is tough. I think I may give a book more of the benefit of the doubt if I feel I am supposed to like it. I try harder to appreciate "great books". I may be able to understand why a book has received its kudos even if I am not personally loving it. But I can't make myself like a book just because I'm supposed to. I probably feel guiltier for not liking it than I would for not liking the latest bestseller though. So, I might try harder to like a book that is generally accepted to be a great book. But in the end, a book's status won't win me over, only the book can do that. Although I’ve pointed out before that I don’t read a whole lot of contemporary YA, every once in awhile a blurb catches my attention with a hook I can’t resist. Sean Griswold’s Head by Lindsey Leavitt is just such a book. Payton Gritas is an unusual teenager in that she is bright, happy, athletic, a good student, has a loyal best friend, no issues with "mean" girls, and comes from a close-knit, functional family. Then she walks in on her mother giving her father an injection and a bomb explodes in her life. She learns her father has multiple sclerosis. He was diagnosed six months prior and her family has been keeping it from her. What starts as almost a reluctant joke turns into an actual focus for her life as Payton finds herself more and more interested in the boy attached to the head. And while having a crush at first seems to complicate Payton’s life, creating more problems it solves, luckily, Sean has one steady head. This is an enjoyable quick read with likeable teens in credible situations. It was easy to empathize with Payton, despite her self-centered behavior, very realistically portrayed. She wasn’t a perfect kid but she was a good kid. Readers will want things to work out well for her in a situation that will never be anything better than manageable. And readers will cheer for Sean, one of the nicest teen male protagonists I’ve run across in a long while. This sweet YA love story is, at heart, a book about learning to cope. I hadn’t ever read anything by David Sedaris and I thought I should remedy that. The problem was which book to read. Then I heard about "squirrel seeks chipmunk." Aesop’s fables for the twenty-first century. I made my choice. 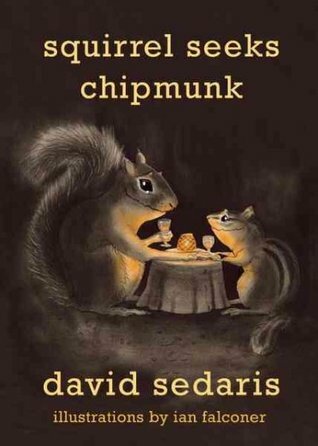 In this collection of stories (that can be devoured in a sitting) Sedaris uses animals to show what is wrong with humans. This is not a unique idea but Sedaris puts a new spin on it, and the fables definitely have a modern tone. Squirrels date chipmunks, mice raise snakes, one lab rat tries to tell another that the only thing wrong with him is his attitude... With stories like these, he mocks the moral failings that are most recognizable today. There are sixteen tales in this bestiary. The messages are not subtle but they are cleverly represented. Sedaris has a reputation for the humor of his writing, but I found these stories too brutal to truly be funny. Clever, yes. Entertaining, certainly. But too painfully harsh to make me laugh. From this intro to Sedaris, I can see why his writing has received so much acclaim. The voice is strong and it’s impossible not to be affected by what you are reading. So now the problem is which of his books to read next. The only bad thing about the story of Camelot is that I know how it’s going to end. King Arthur has played a large role in my long love affair with the middle ages. Once upon a time, the Arthurian ideal of chivalry embodied for me all the romantic and glorious images the word "medieval" conjured up: gallant knights, noble ladies, castles, questing, the protection of the downtrodden etc. Of course I learned that the real middle ages were nothing like Camelot. But I was thrilled to learn how the Arthurian romances were born in the middle ages. These extraordinary tales have survived through the centuries. They have been told and retold. New generations of story tellers have built upon them, turned them on their heads, told them from the point of view of major and minor characters– the adventure and romance live on. But there is no escaping the fact that Camelot ends tragically. Good and evil clash. Evil doesn’t exactly triumph but it is a pyrrhic victory for good. No matter how you slice and dice the tale, it will break your heart. 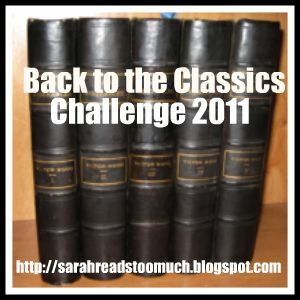 Which brings me to one of my favorite series of books and my review for today. If you like adventure tales that will captivate you, make you laugh out loud, characters that will win your heart, and writing that will make you stand in awe of the cleverness of the author, try reading The Squire’s Tale(s) by Gerald Morris. This ten book collection is written for older middle grade kids (I swear they are equally entertaining for boys and girls) and for teens. But if you are a grown-up who likes Arthuriana and you have no convenient young person around, go ahead and read the books just for yourself. The obvious jokes will entertain kids while the more subtle humor will have parents chuckling as they read between the lines. Morris retells several classic Arthurian tales, remaining surprisingly faithful to original storylines, but inserting enough extra context to help modern-day readers make sense of medieval material. Most, but not all, of the books make use of the boy named Terence from book number one (The Squire’s Tale) who ends up being squire to Sir Gawain, King Arthur’s nephew. Terence has other talents that I will leave you to discover. I read the book with my son, who was about 8 or 9 at the time. He was hooked. We’ve reread it more than once over the years. Still, it isn’t my favorite book in the series. My favorites are The Savage Damsel and the Dwarf (Book III) and The Ballad of Sir Dinadan (Book V). I think Dinadan ranks up there with my favorite fictional characters of all time. 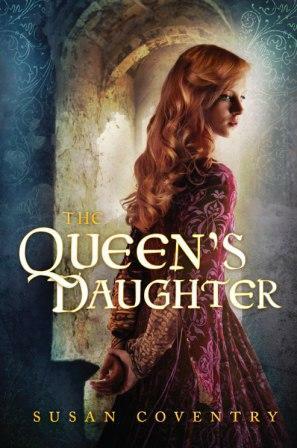 So, after nine marvelous books, Gerald Morris brings his series to a close with The Legend of the King, which tells the story of the final confrontation between Arthur and Mordred, using for excuse the affair between Queen Guinevere and Sir Lancelot. We’ve seen hints of the end. Mordred, Arthur’s illegitimate son, (his only son and thus his heir), has been lurking for the past couple of books. Sensitive characters (like Terence) have felt something amiss. Therefore, anyone who knows the story of Camelot will pick up this last book with a bittersweet reluctance. Gerald Morris will tell the story and tell it well. But even he can’t change the course of well-known fictional history. Can he? Knowing it would break my heart, I had to read it anyway. I had to see the way this version brought Arthur’s legend to a close. These books don’t have to be read in order because each one is a pretty well self-contained tale. However, I do recommend that you read them sequentially since I think ALL series should be read that way. And I think this one also has a more pleasing chronology if read from one to ten. Save The Legend of the King for last, but by all means, read it. The legend of Arthur is not complete without its finale. The last few books that I’ve read have been rather heavy, depressing even, for one reason or another. And with all that’s going on in the world, it’s easy to get...shall we say discouraged. Sometimes a person just needs to take a few hours and shut out the world. I needed to read something fun and breezy that would not make me think too much or improve me morally in any way. I needed to relax. What could be better than to return to the Georgette Heyer Challenge -2011 and read a classic Regency romance? Frederica is the mother hen of her siblings, an orphaned brood of country gentry consisting of Harry (the eldest, kind-hearted but too feckless to act as the guardian he should), Charis (the not yet twenty year old sister) and two younger brothers, Jessamy (16, determined to enter the church, studious, well-behaved, but not quite all grown up) and Felix (13, intelligent, precocious, and adventuresome–thoughtlessly so.) They have some money but not much. Frederica brings them to London so that Charis can have at least one London season. She believes Charis is wasted on the country folk because she is so exceptionally beautiful and sweet-natured in the bargain. Frederica is determined that she should marry well. Frederica herself, being all of twenty-four, figures she is respectably on the shelf and need not worry about a husband of her own. Her ambition is to be an aunt. But first, she must launch Charis. To do this, she enlists the aid of Lord Alverstoke, a thirty-some-odd distant relation she used to hear her father mention from time to time. Alverstoke (or Vernon) is wealthy, fashionable, and exceedingly bored. He is considered by the ton to be selfish, rude, and a terrible rake. When Frederica appeals to him for aid, he agrees, but only to spite his sister, who wants him to throw a ball to launch her daughter’s first season. Vernon not only helps introduce Charis to the ton but in the process, he takes on the role of guardian of sorts to the younger boys. The novel follows the progress of his discovery of responsibility and Frederica’s learning how to lean on someone else for support. In the process...well, it is a romance. The book is filled with amusing scenes and lovely repartee. 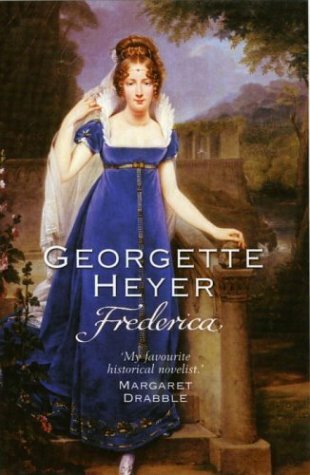 Frederica is an engaging heroine who manages to put her family first without suffering from a martyr complex or coming across as a doormat. Alverstoke manages to have a reputation for being rude and selfish without ever actually acting rude or selfish...except to his sisters, who so obviously deserve it. The storyline takes its time. The characters get to know each other before falling in love. Even though the reader knows it will happen, it is nice to see things take a natural course. There is nothing earth-shattering. No edge of seat suspense. No terrifying villains. It is a pleasant, entertaining love story. Opening these pages is a perfect invitation to relax. Of course, the real world was still waiting when the book was done. But a little vacation was sure nice. 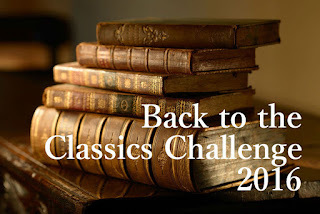 For the Back to the Classics Challenge, we were supposed to pick one book with a war time setting. 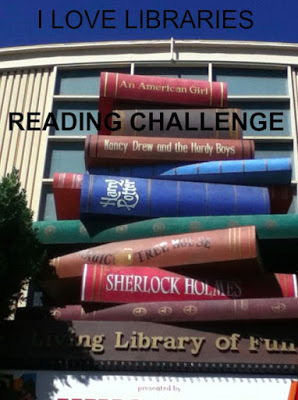 I decided that I should take this as a true challenge and read a book about WWI—something way out of my comfort zone. It’s bothered me for awhile that I hadn’t read All Quiet on the Western Front by Erich Maria Remarque. 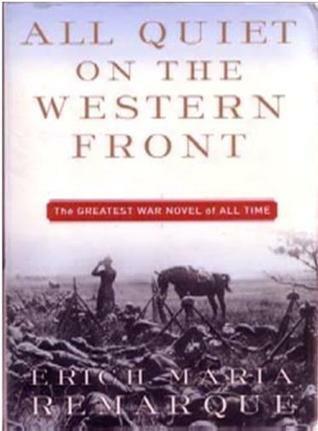 The book has been called by some "The Greatest War Novel of All Time." In fact, the praise is quoted (without attribution) on the cover of my copy. How have I gone for so long without reading it? AQWF is narrated by the twenty-year-old German soldier Paul Bäumer. Along with several of his classmates, he enlisted in the army at the encouragement (or bullying insistence) of one of his school teachers. We follow Paul through about three years of war. He and his friends are sent to the front lines where they primarily fight in the trenches. The Germans are losing and the death toll is horrifically high. Paul and his comrades have little apparent interest in the war’s outcome; they want only to make it out alive. But slowly, inexorably, they die. This is a very personal narrative, not a big picture of WWI. You don’t come away from it with a greater understanding of the causes of the war or the political maneuverings of the great men. We never learn the names of the leaders or generals. Those are not the things that interested Paul. This is the record of the daily struggle to survive the trenches. We watch a small group of young men move back and forth to the front line. The narrator does an extraordinary job describing the details of their struggles, from the joy in an extra ration of beans, to their (unsuccessful) schemes to rid themselves of lice and rats, to the way they tried to help the new recruits who were so poorly trained they fell in droves. But what stands out is the battle scenes. It is impossible to put oneself in the place of a twenty-year-old boy who has seen so much of death—slow agonizing death—as he drops to the ground while mortar fire explodes all around him. And yet the descriptions are so vivid you suffer for Paul. You can understand how he can be paralyzed with fear one moment and propelled to action the next. You can empathize with the way the men are forced to push aside their grief when one of their comrades dies. It is too overwhelming. Too frightening. There is nothing to be done for the dead. They have to concentrate their efforts on living. This isn’t a depressing book. It is somehow beyond depressing because of its matter-of-fact realism. The novel’s message is stronger because it does not go into the big picture particulars of WWI. The trenches were horrible, but every war has its unique psychological horrors. By focusing so much on the individual soldier, this book shows the universal tragedy and waste of taking boys who are on the cusp of manhood, boys who should be about to begin their lives, and sending them instead to kill and to die. This is a truly powerful book. The writing is so descriptive, so beautiful, you are right inside Paul’s head as he experiences the war. His thoughts run the gamut from simple and animalistic to profound. I’m hardly qualified to judge "the greatest war novel of all time" but I can recommend this classic highly. I won’t be forgetting Paul Bäumer anytime soon. The Teen Scene Initiative, working in conjunction with Reference and Childrens Departments, is hosting Teens Meet the Authors on Saturday, March 19, 2011 from 2:00 p.m. to 4:00 p.m. at the New Albany-Floyd County Public Library. Susan Coventry, author of The Queen’s Daughter, Kelly Creagh, author of Nevermore, and Julie Kagawa, author of The Iron King, Winter’s Passage, The Iron Daughter, and the upcoming The Iron Queen will speak about writing, getting published, etc. There will be time to ask questions, to meet the authors, and to purchase books and get them signed. Reservations will be required, please contact the Reference desk at 949-3523. Will have books available on site for purchase. This time around, my historical fiction book club chose to read Burr by Gore Vidal. 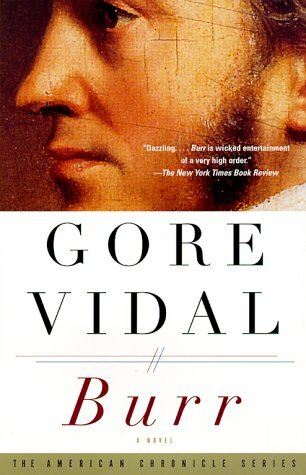 I’ve always felt I should read something by Gore Vidal, one of the historical fiction grand masters, and I vaguely remembered Burr as a book my father read way back when it came out in the 70's. So I was game to give it a go. This is, essentially, Aaron Burr’s fictional memoir. Burr was Thomas Jefferson’s vice president and Alexander Hamilton’s rival. Burr is remembered because he fought a duel with and killed Hamilton. Shortly afterward, he became embroiled in a confusing scheme to either conquer Mexico or to separate the western states (at that time Kentucky, Tennessee, Louisiana) from the eastern states. Or perhaps he planned to do both. The scheme may or may not have constituted treason depending on your reading of the Constitution of the very young United States. He was acquitted and lived to a ripe old age, but never lived down his notoriety. Well, in some ways he did, because he’s not much remembered today. And even in this book where Burr’s made to be the hero, he’s portrayed as a gentleman and a consummate politician with a high opinion of his own military skills, but it’s hard to tease out any actual accomplishment to put to his name. The novel is presented as a relationship between two men, the aged Burr and the young law clerk who would rather be a writer, Charlie Schuyler. Charlie works for Burr, who still practices law though he is in his seventies. Charlie also freelances for the local newspaper. Charlie is apolitical but his editor, Leggett, is fanatically anti-Martin van Buren. Leggett is convinced that van Buren is Burr’s illegitimate son. He believes that if Charlie can find proof of this (or convincing enough innuendo) and publish it, van Buren’s chances of being elected president will be ruined. Although Charlie admires Burr, he is desperate for money and takes on the challenge. With this premise, we follow Charlie as he interviews Burr and assorted other historical figures searching for clues to the Burr-van Buren connection. We see a little of the current day private lives of Burr and Charlie along the way, but mainly we listen to Burr reminisce. In a manner that somehow charms Charlie, Burr flatters himself and tears down military and political rivals. Politics and war make strange and ugly bedfellows. Politically, Burr does what he must, but the other fellow is always conniving and hypocritical. In battle, Burr is brilliant. The fact that he lost or retreated was always because his superiors would not listen to his plans which surely would have succeeded. Eventually the story of the duel is told—Hamilton deserved it. And finally the whole muddy mess concerning the treason comes out—everything was Jefferson’s fault. If the reader is concerned about the van Buren connection, that thread too continues, introducing a moral dilemma for Charlie. He has taken money to publish the story. He doesn’t want to hurt Burr. He can’t afford to pay the money back. He’s in a bind. Etc. I had some difficulties with the book, partly because this is not a time period that particularly interests me and partly because I had a hard time interesting myself in the various dilemmas. I knew the basic historical outcome, so I wasn’t reading to see if Burr would win the duel or if he would be found guilty of treason. I was reading for the mechanism. How did it all come about? And, unfortunately, in this book, it all came about through petty jealousies, politics for the sake of personal ambition with no real higher principles (at least none that filtered through Burr’s lenses), and geographical rivalries. As far as the present day situations, I found myself detached from all that was going on. I didn’t care any more than Charlie did about van Buren’s political future. Nor did I care what happened to the others. Aside from a semi-parasitic bond that developed between Burr and Charlie, the characters were devoid of emotional depth. The plot(s) meandered. It could very well simply have been that the book is dated. In his narration, Aaron Burr debunks all the myths of our heroic forefathers. He chops the giants off at the knees. This may have been shocking good fun back in 1973, but nowadays, the reputations of the heroes are so tarnished people are polishing them back up again. To have Burr the character go after them all in bulk only serves to make him seem small and the story that much the pettier. The point of the book might have been that politics has always been an ugly mess. Politicians have always been self-serving hypocrites. We can’t even look to the creation of our nation for example of how it should be, because it was just as bad. I’m not sure if I should hope to find that reassuring – we’re still here, after all. Or if it’s as depressing a message as it sounds. Still, I’ll see what my fellow book club members have to say. I’m glad I read the book. 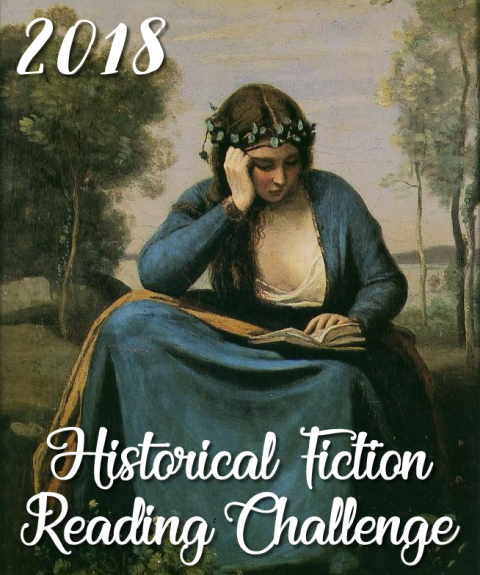 (It counts toward the historical fiction challenge!) But I preferred Waverley. I should read more science fiction. In a lot of ways, it resembles historical fiction. At the most basic level, the reader is transported beyond this world to someplace exotic, more exciting than the one we inhabit. For the story to work, the author has to create a credible universe for the characters to inhabit. The sci-fi characters will use unfamiliar technology, wear odd clothes, eat strange foods, and live under socio-political conditions that differ from the here and now just as historical figures do. The only difference is whether we are re-imagining what did happen or envisioning what will happen. The reader gets to experience all this alongside the characters. But whether the story is set in the past or the future, the characters are often dealing with similar issues—big issues: good vs. evil, ambition, empire building, and love. 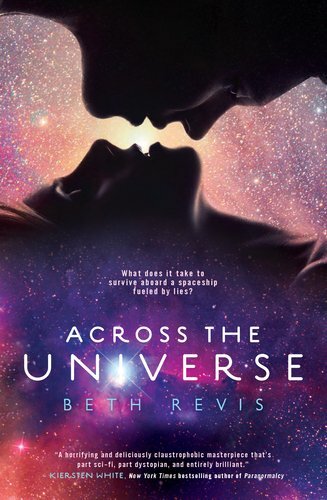 Across the Universe, Beth Revis’s debut novel, caught my attention from blurbs on several blogs. The premise intrigued me. Amy is a sixteen-year-old girl who agreed to be cryopreserved and sent on a 300-year journey to colonize a distant planet along with her parents. Unfortunately, she is prematurely awakened fifty years before the ship is supposed to land. Not only is she completely alone on this strange ship-world (everyone she knows is dead and she will be older than her parents when they finally do reach their destination) but she soon learns her awakening was no accident. Someone tried to kill her. The ship is run by a tyrant called Eldest. Eldest believes tight control is necessary, and Amy threatens the stability he has worked hard to achieve. However, Amy is befriended by a sensitive boy named Elder who is heir to the commander’s role. As Elder learns more of the ship’s terrifying secrets, he has to decide if he will continue the course Eldest has chosen. Defying Eldest is, to put it mildly, not a safe choice. When more of the frozen passengers are thawed, with deadly results, Amy and Elder must work together to discover the murderer and prevent him from striking again. Revis does a wonderful job of creating the ship-world. The reader will feel as trapped as Amy, first in her frozen, half-dream state and then on the artificial world. Her despair as she comes to grips with her situation is understandable. The book alternates point of view between Amy and Elder. Both characters mature as the plot progresses. Elder is the stronger and in some ways the more interesting of the two. He has a greater understanding of the complexities of the ship’s problems and as he realizes how much responsibility he will bear, he has to make difficult moral choices. Amy seemed less naive at the outset and her growth came more in the form of adaptation and acceptance. The book is not as much of a romance as I anticipated, but since I see that it has been numbered 1, I expect the love story to blossom in a book #2. It's time for the Friday book party. Come on over to the book blogger hop hosted by Crazy for Books. Meet other book lovers and share the fun. Who's your all-time favorite book villain? My answer is a bit of a cheat. My favorite villain is Francis Crawford Lymond from The Game of Kings by Dorothy Dunnett. So wicked, so sly, so unfeeling-- he is brilliant and daring and breaks every rule of his hidebound social class. He defies his loved ones, rejecting them, treating them in a humiliating fashion. He is utterly brutal. We see him from the point of view of him enemies and those who used to be his friends as they track his movements and try to figure out what he is doing--and catch him at it. But choosing him is a cheat because Lymond is an anti-hero. Wretched as he is, you fall in love with him and find yourself rooting for his success- whatever it is he's trying to accomplish. And you read frantically to find out if it will all work out in the end, or if Lymond really is as despicable as everyone thinks he is. 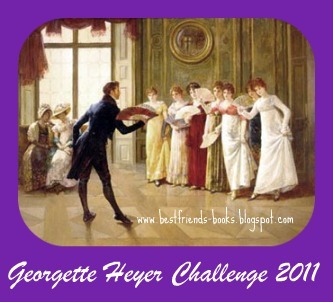 The Literary Blog Hop- March 3-6: Can Literature be funny? 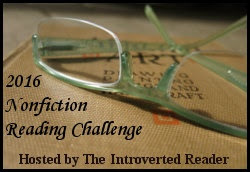 It's time for the Literary Blog Hop hosted by The Blue Bookcase. Hop on over to see the suggestions for participation. If you enjoy literary works (defined as texts with aesthetic merit) join us for the hop. Can literature be funny? What is your favorite humorous literary work? My answer: Yes, of course, literature can be funny. Satire is often funny, although it helps to be familiar with the object being mocked. I am very fond of witty repartee. And I like clever use of language. Not puns, exactly, but people being silly with words. Many literary books have amusing scenes even though I wouldn't call the books themselves funny. I guess the first favorite humorous literary work that comes to mind is Ella Minnow Pea. Others will probably come to me as I reflect on the question, but Ella Minnow Pea was light-hearted and fun. It combined satire and clever word play. And it was an epistolary novel filled with witty exchanges. I'll enjoy this hop as I look for other entertaining books to read! We finished Pride and Prejudice. My guest blogger today is my daughter Lila. The title of this book is so well known as to almost be cliché: Pride and Prejudice. Most people have heard the phrase long before they connect it to a story, or even realize what the words mean. Even as a fan of classics like Little Women and The Secret Garden, I always thought of this book in the same way as War and Peace or Don Quixote: one of those ancient grown-up books that everyone has heard of, but almost no one endeavors to actually read. It took another book, an adaptation of sorts called The Mother-Daughter Book Club: Pies and Prejudice to make me actually pick it up, and now I am so glad I did. Written by Jane Austen around the beginning of the 19th century, Pride and Prejudice has captivated generations of readers. This classic contains everything a good modern romance would—love at first sight, misunderstanding, changes of feeling, competition, scandal, suspense, and a happy ending—except the coarse language and adult scenes. Though the characters behave with early 19th century English etiquette, their personalities are still strong and relevant today. Austen tells the story of Elizabeth Bennet and her four sisters—Jane, Mary, Kitty, and Lydia—after jovial Mr. Bingley, his sisters, and their reserved friend Mr. Darcy move into nearby Netherfield Estate. Mr. Darcy’s pride and Elizabeth’s prejudice keep them on edge with each other for their first several meetings. I won’t spoil the ending by telling it here, if you don’t already know. Austen’s distinctive characters keep you anxious for their story throughout the four hundred plus page novel, and witty comments by Elizabeth and Mr. Bennet will bring a smile to your face. Pride and Prejudice is one of the best books I’ve ever read, and I would recommend it to anyone twelve and older. Congratulations to the winners of my YA giveaway. Jenelle will be receiving a copy of Jane by April Lindner and Kulsuma will be receiving a copy of Five Flavors of Dumb by Antony John.